Sebadoh are heading out on a North American tour in August, which will make a stop at Schubas on the 16th of the month. Tickets go on sale this Friday (5/25), at noon CST. All tour dates are listed below. As BrooklynVegan points out, this tour will feature a few different configurations of Sebadoh at each show. In addition to the indie rock trio of Lou Barlow, Jason Loewenstein, and Bob D’Amico, you’ll also receive sets from Circle of Buzzards (aka Jason and Bob) and Lou Barlow solo. 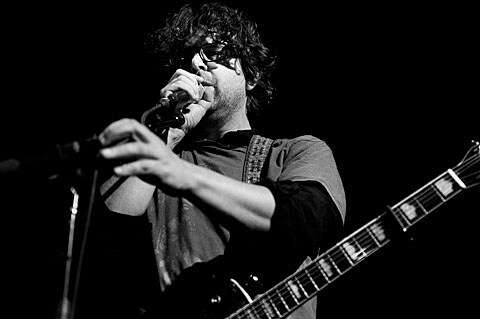 Sebadoh are currently working on a new record, which will probably be released in 2013. But according to Backstage Rider, the group may be putting out an EP before they hit the road this summer. Lou also plays on the new Dinosaur Jr. album, scheduled for release this fall. This past March, the trio reissued their 1990 LP Weed Forestin’ with the bonus cassette Child of the Apocalypse. Stream both at the bottom of this post. Digital copies and a limited number of vinyl pressings are still available. All Sebadoh tour dates are listed below, along with a stream of their recent reissue. August 09 – Northampton, Pearl St.